Car insurance website InsurancePanda.com starts a web survey to find out whether coffee drinkers are safer drivers or not, as recent studies suggest. The results are to be presented by next month. Coffee is consumed by millions of Americans on a daily basis not only out of enjoyment, but sometimes out of necessity. While a caffeine addiction can hurt one's bank account, the benefits it brings cannot be denied. New findings yet to be tested from auto insurance company InsurancePanda.com show that coffee drinkers may even be safer drivers. The report, citing studies from medical journals "Sleep" and "Psycho" shows that coffee has been proven to keep drivers awake during night time driving. Both studies tested driving performance of participants during monotonous, long drives. Participants were either given caffeine (cup of caffeinated coffee), a placebo (cup of decaf caffeinated coffee), or sleep (a brief nap). The studies found that having one cup of caffeinated coffee does a better job of keeping drivers alert and awake at the wheel than does decaf coffee and even a brief nap. One of the studies, which tested abnormal swaying and lateral movements of the automobiles, showed that vehicle swaying decreased after caffeine was consumed. The other study, which looked at the crossing of traffic lines showed that line-crossing decreased after the participants were given a cup of coffee. In order to give the qualitative research the necessary quantitative data set, InsurancePanda.com prepared a survey on their website and calls for participants to validate the former findings. The survey can be found here: http://www.insurancepanda.com/844/coffee-drinkers-are-safer-drivers/ and takes about two minutes to complete. Results are expected within the next month. All data will be assessed in association with students from New York University. InsurancePanda.com is a newly launched insurance company located in New York, NY. Insurance Panda offers free auto insurance quotes from the most reputable auto insurance companies in the United States. Insurance Panda hopes to become to top automobile insurance quote provider in the United States. 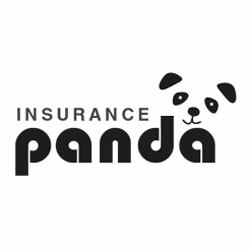 Visit http://www.insurancepanda.com to see how much Insurance Panda can help you save.